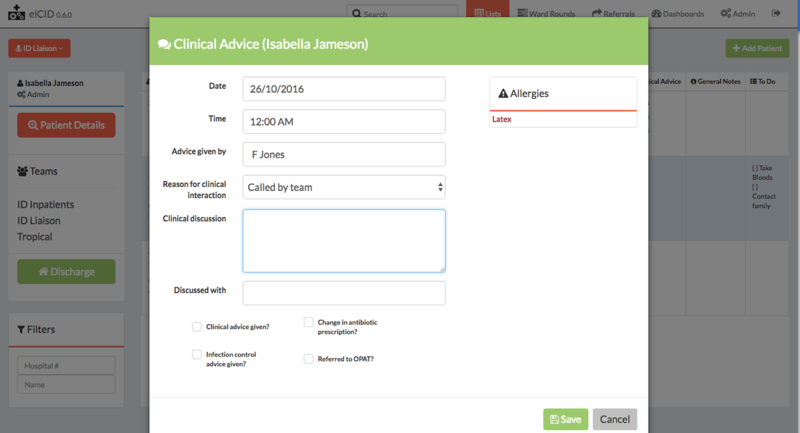 elCID - Patient management for the 21st century. Patient management for the 21st century. Helping teams deliver better care to inpatients and outpatients with infection. 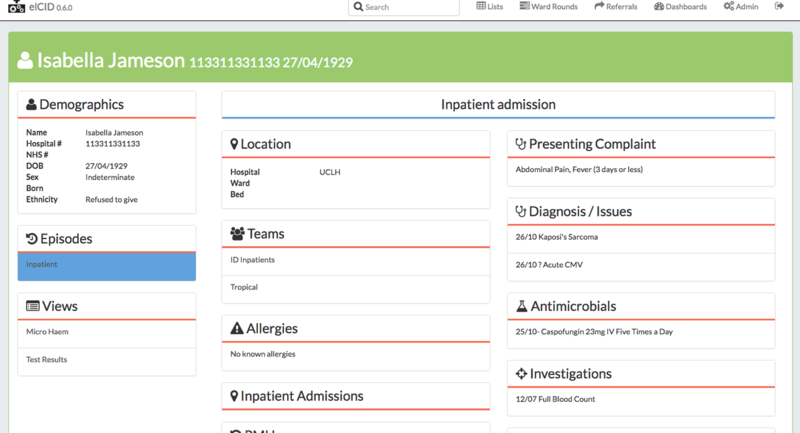 elCID is software for managing patients with infection. elCID is designed around the needs of clinicians to help them deliver better care. 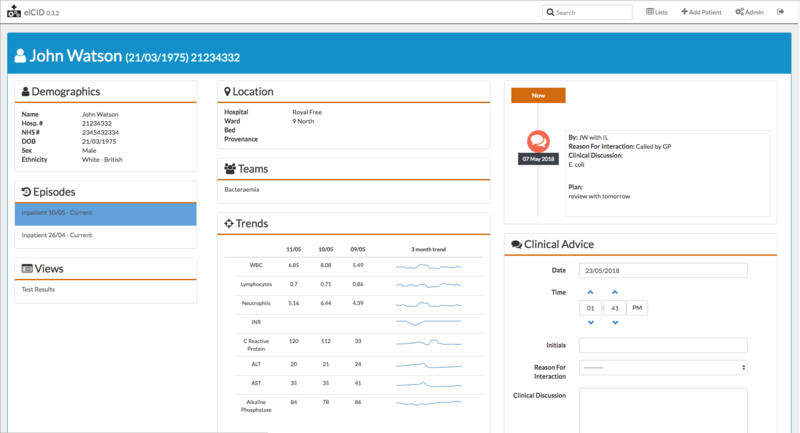 Improve communication by giving your whole team a clear view of every patient you care for in real time. 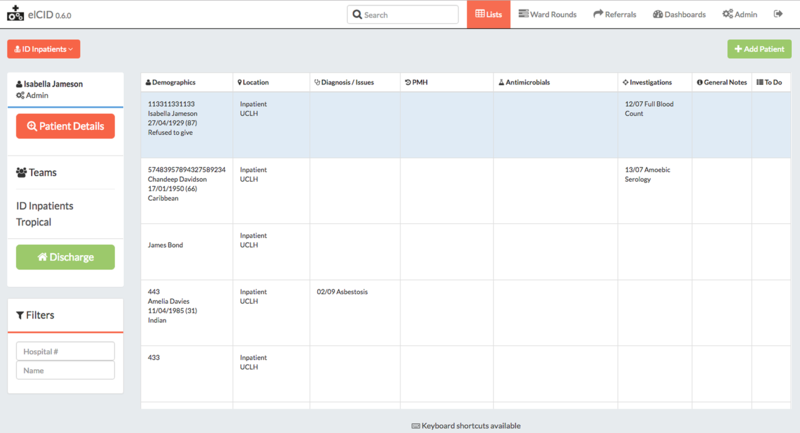 With interfaces optimised for busy clinicians, elCID helps you capture high quality coded clinical data as part of routine care without getting in the way. elCID enables services to monitor their performance in real time with clinical dashboards, custom reports and extracts. 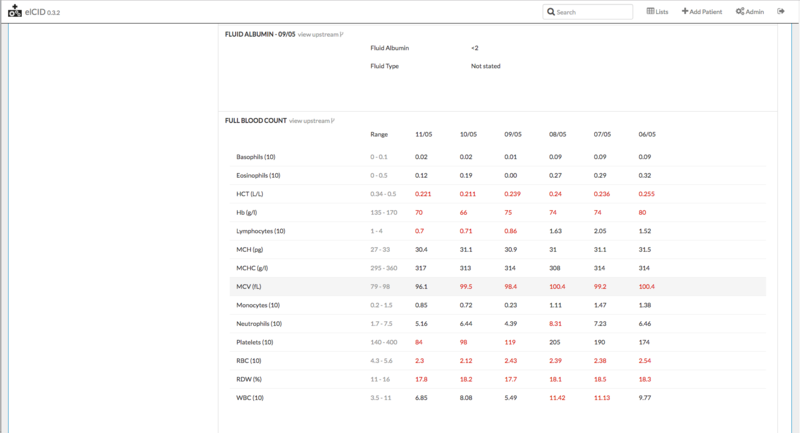 elCID has extensive integration capabilities, allowing you to pull demographics, lab results, electronic prescribing and more, displaying it with the clinical record of your activity for each patient. Clinical services are all unique - and elCID can be customised to support a huge range of workflows, team structures and environments. Because the tools clinicians use need to adapt to the way care is delivered. Monitor performance with powerful reporting tools at the touch of a button. Combine pre-configured activity summaries with customizable reports. All with the ability to export the underlying raw data. High quality prospective data capture ? elCID captures coded clinical data in real time ready for use in audit and research. Quick overview of patients under your care to get high level overviews or conduct handovers. Entry of clinical data optimised for efficiency of workflow by real clinicians. Detailed history of episodes of care - advice given, plans made, treatments, lab tests, tasks and more. Integrate with lab systems to pull and annotate test results seamlessly. Integrate demographic, test, prescribing data and more from other systems with full integration capabilities. elCID is brought to you by Open Health Care UK. Hello! Thanks for your interest in elCID. Drop us a line and we'd love to learn more about your organization's situation, answer any questions you have, or provide a demonstration.